Only 20 minutes to downtown Raleigh this suburban area just outside of the city offers easy access to I-540 and Raleigh-Durham Airport. Private and shared office space as well as fully equipped conference rooms and on-site business support staff. Great local food outlets including Panera Bread or Zaxby's are great for a quick team lunch or informal meeting with a client. The area also provides excellent transport links throughout the locality. This state of the art and technologically significant business center installation is set within one of the region's foremost commercial hubs and business districts, benefiting from an extensive and varied selection of local amenities and public servies including convenient transport links, fantastic restaurants, luxurious hotels and accommodation providers and numerous entertainment venues. The on-site provisions are perfect for any type of professional or corporate requirement. 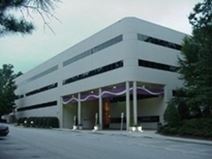 Brand new top of the line office space with modern touches throughout. Easy access to major highways and Raleigh-Durham International Airport. Close proximity to Research Triangle Park. The newest high-rise in Downtown Raleigh provides prestigious private executive suites, all with window views. Two conference rooms are available to cater for up to 12 people, a block from the convention center and only two blocks from the courthouse. 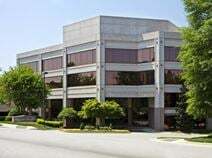 A short drive to Research Triangle Park in Raleigh"s central business district this modern business center provides flexible office space suitable for any size of business. The Class A property offers lovely views and is close to a number of major colleges and universities for great access to the local talent pool. There are several major universities and colleges providing a rich talent pool for prospective employees. The geographical location of Raleigh its self makes it an ideal business hub as it is a gateway to commercial markets throughout the state and beyond. Ideal to launch your company to bigger and better things. 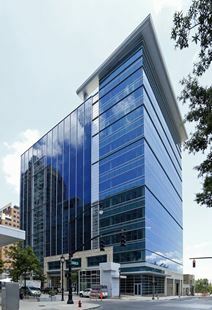 Located in the heart of Raleigh"s business hub on Fayetteville Street this business center provides breath-taking views over the city from a mix of private and coworking office space, huddle rooms, relaxation spaces and the on-site café. This center is situated 10 minutes from downtown Raleigh, close to hotels, restaurants, banks and more. This is a prime location, and a well kept building with full services available to clients. This new center in Raleigh offers cost-effective serviced office space in a freshly-renovated building with brand new furnishings and fittings. Situated close to RDU airport, the center is also near to many shops, eateries and banks. 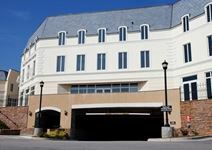 Centre is located in centrally in the Crabtree Valley surrounded by fine dining, hotels, and shops. Enjoy cutting edge technology in a class A building, will full assistance from welcoming staff. A modern service center close to the I-540 and North of Raleigh, and close to RDU Airport and parks. The facility offers state of the art furnishings and the latest technology in this outstanding area. These include conference and meeting rooms and the facility for virtual offices and makes a great center for those in the legal profession, financial services. Close to dining and entertainment options in the up-and-coming Warehouse District this ultramodern creative workspace pairs fresh contemporary style with historic design in downtown Raleigh. Tailored services to suit your business. The area's extensive and significant infrastructure and regional transport networks are excellent and make the center easily accessible to both tenants and professional visitors. Set in the tallest building in the area, and boasting superb views from the 10th floor of this modern 17-story skyscraper, our serviced center provides world-class office space. Close to a major development which is home to hotels, luxury restaurants and retail. The regional transport links are also excellent and offer prospective tenants and commuting visitors to the site with a range of fantastic and highly convenient services in operation frequently. Providing easy access to the popular and nearby areas of both Greensboro and Charlotte, this striking 18-storey tower is located in Midtown Raleigh within the flourishing economic area of North Hills. In addition to the excellent range of flexible office space solutions and provided facilities the center is opposite a 14 theater cinema and bowling alley, ideal for entertaining clients or winding down after a hard day"s work. 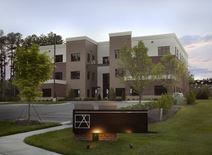 Professional suites within close proximity to RDU airport and Durham. State of the art technology, fully furnished suites, conference rooms, mail services and friendly professional staff to meet your business needs. Virtual offices and multi office suites are also available. Located in highly desirable location with convenient covered parking, elegant lobby and easy access to lodging, restaurants and shopping. Executive suites located in this vibrant business area, close to the I-440 and many nearby restaurants and other amenities which are just a short drive away. This facility is modern in design and offers conference and telephone facilities, as well as meeting rooms, showers, parking, conference facilities and the availability of administrative support. Easy side street parking is also available, which is perfect for those bringing the car to the office, or for any visitors that you may have.